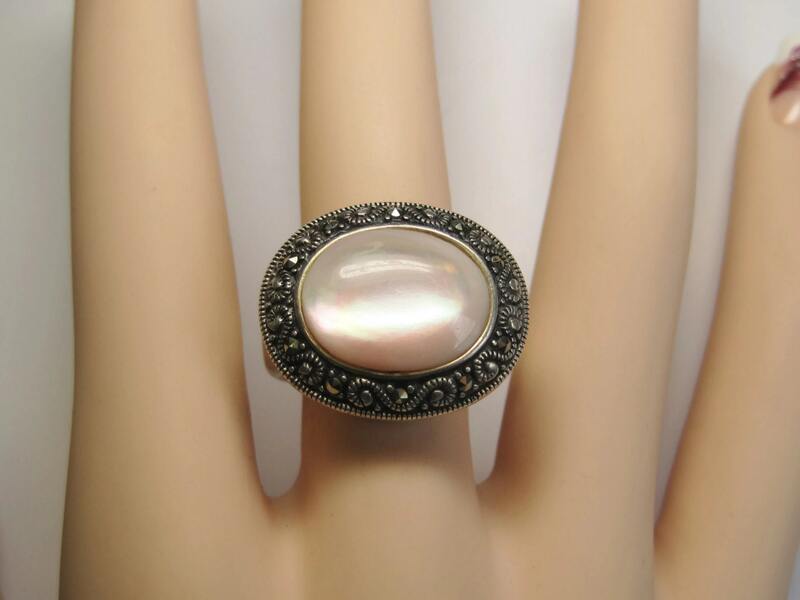 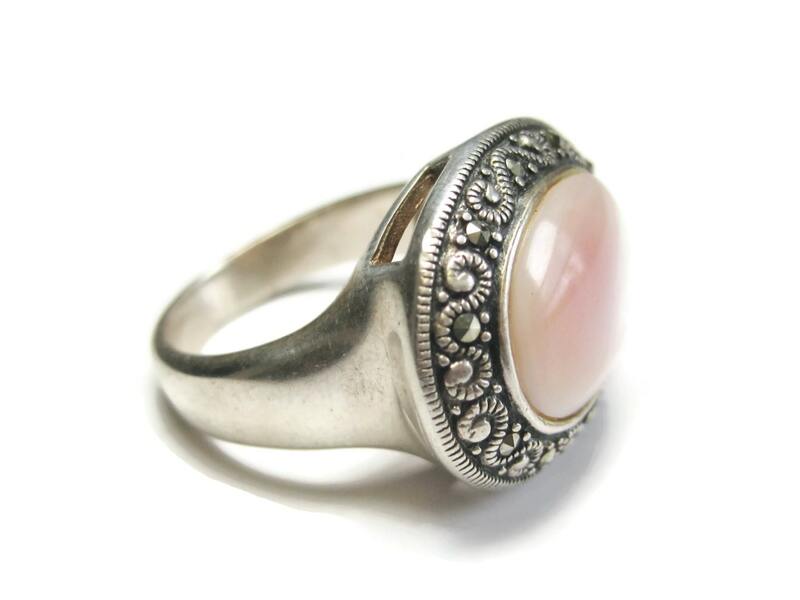 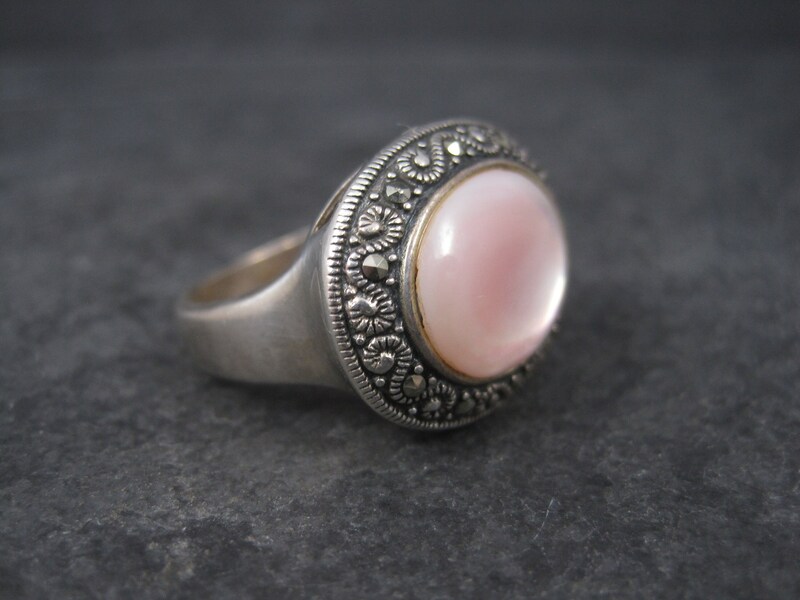 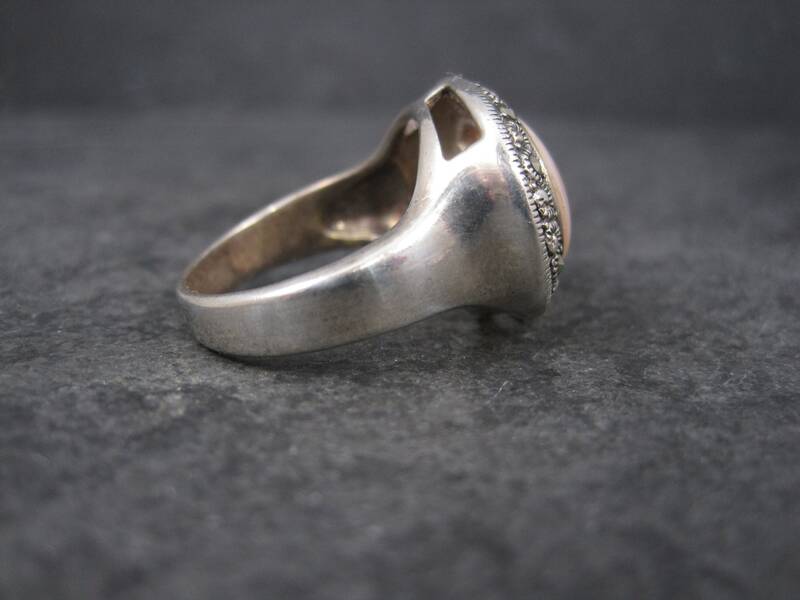 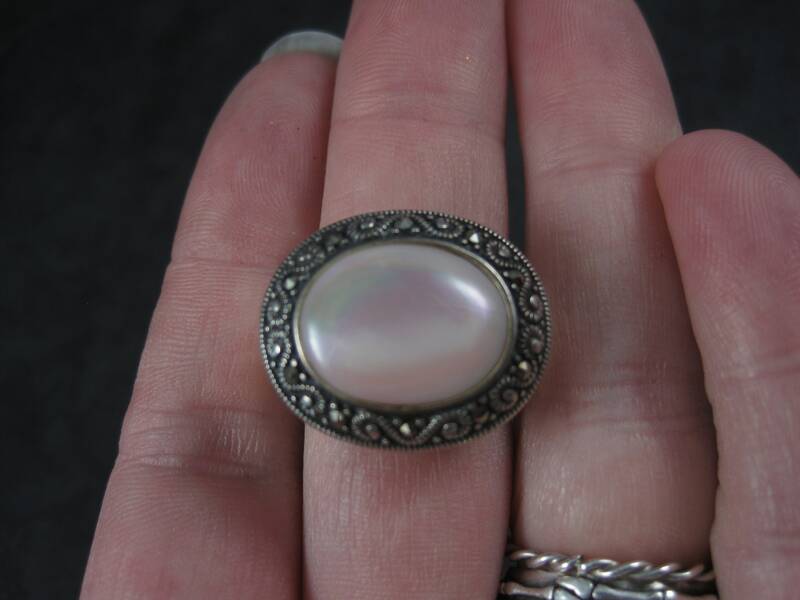 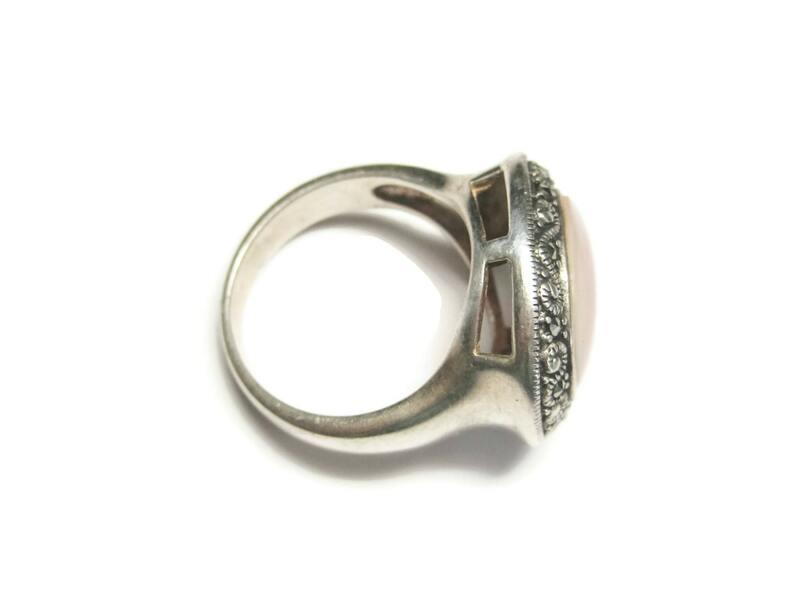 This gorgeous vintage ring is 925 sterling silver. 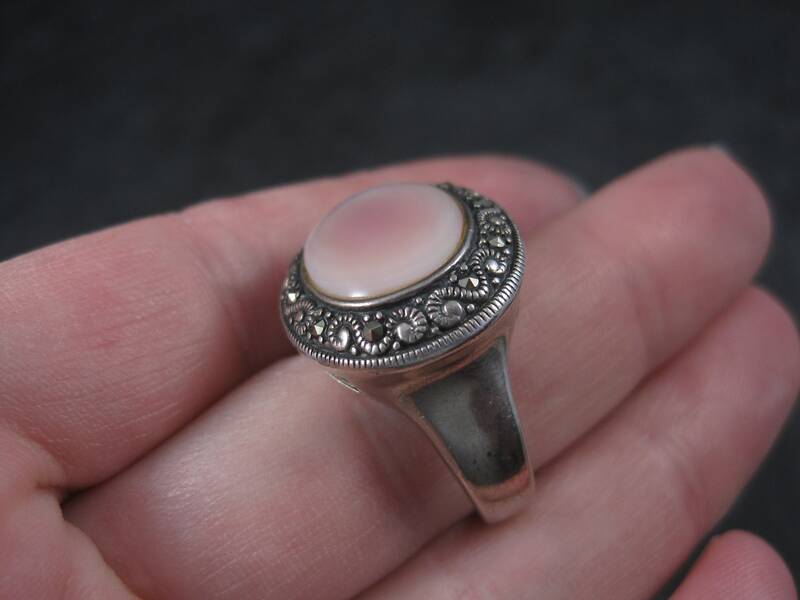 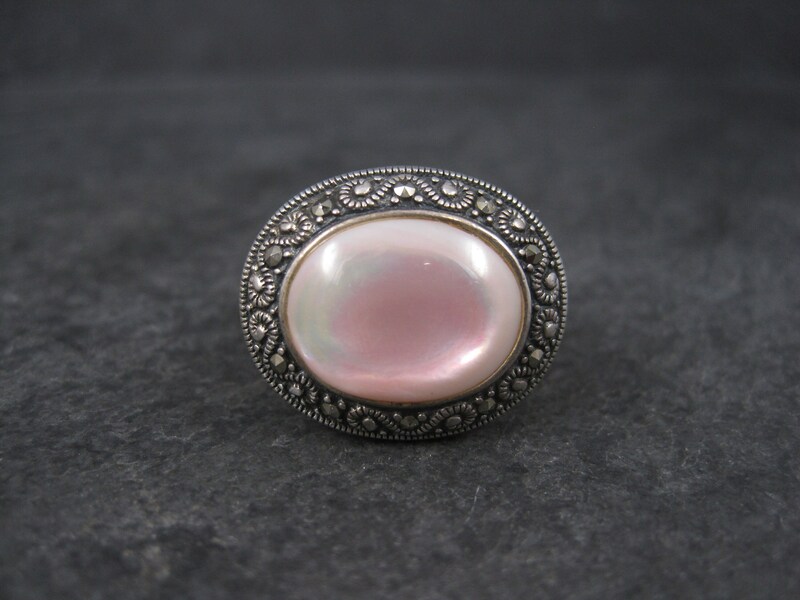 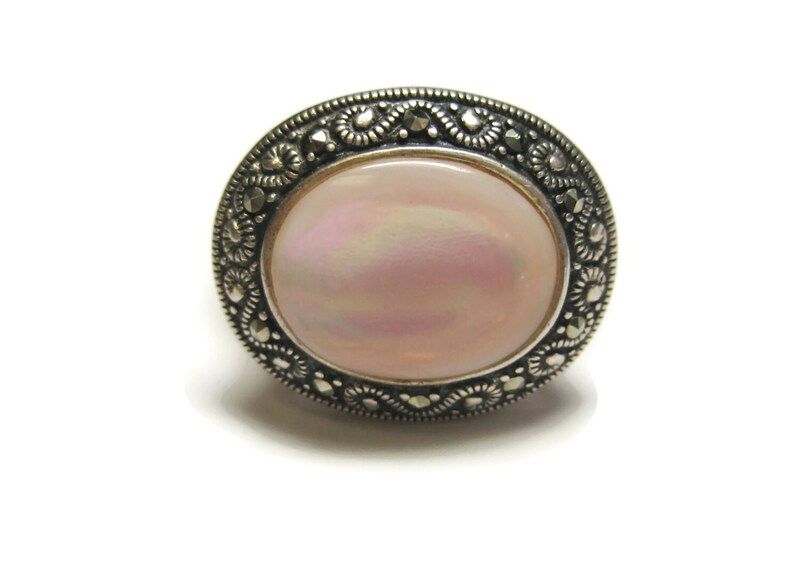 It features a large pink mother of pearl surrounded by marcasites. 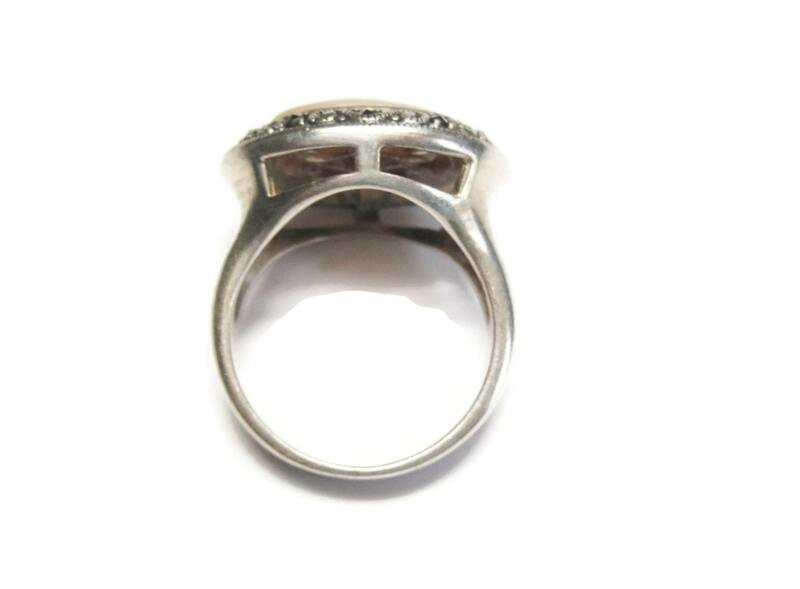 The face of the ring measures 3/4 of an inch from knuckle to knuckle.